This is one determined little dog. 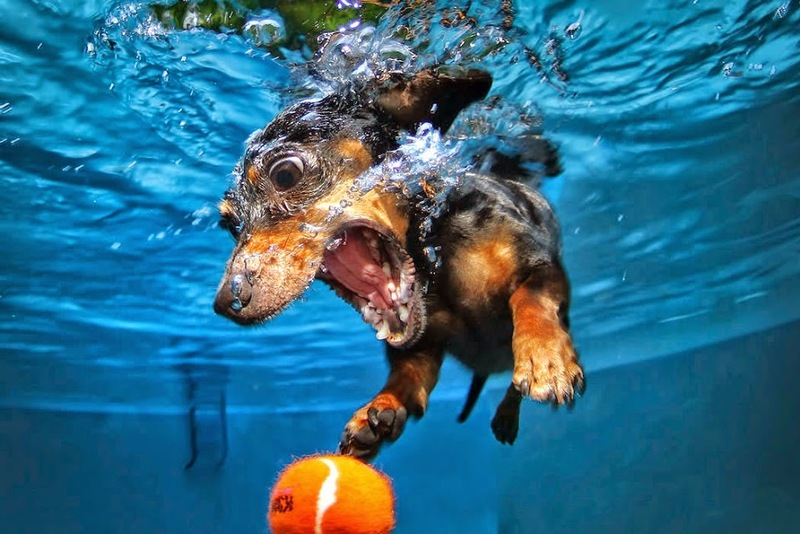 Diving into a swimming pool to fetch its orange tennis ball, the dachshund is all in — eyes bulging, mouth open, paws reaching — that ball is his. Part of photographer Seth Casteel‘s “Underwater Dogs” series, this photo is just one of many that captures the comical antics and expressions of our canine companions when they venture underwater. He shoots with Canon cameras, Canon and Tokina lenses, and IKELITE Underwater Systems housings and strobes.